Small disease-carrying bugs are capable of finding their way into drink vending machines, says Japanese researchers. 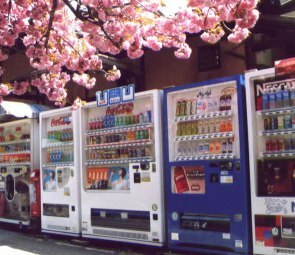 Researchers at Osaka Aoyama University wanted to see how many, and what kind of insects found their way into vending machines. They set up four insect traps inside two outdoor vending machines, three indoor machines, and four traps around the outside base of a different indoor machine. They left the traps for eight days in May – Japan’s the rainy season. They found a total of 70 small flies and 78 cockroach larvae inside all five vending machines, and 69 insects captured around the base of the extra machine. The majority of the insects were smaller than 7mm in length. Further analysis showed several of the cockroach larvae had traces of salmonella bacteria on them. Although people aren’t likely to get food poisoning from minute amounts of salmonella, the research team is worried about contamination from these insects falling into cups used in vending machines.